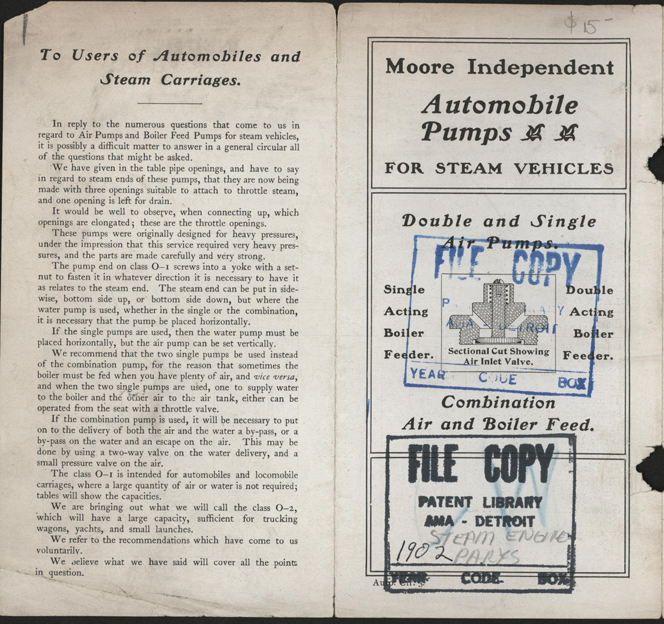 The Union Steam Pump Company found an economic opportunity in the new steam powered automobiles, particularly Locomobile and Mobile. 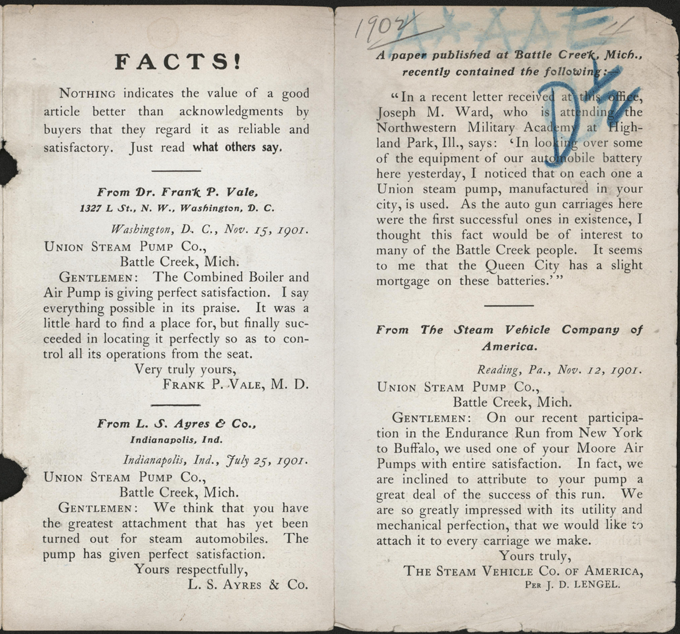 The Company's brochure contains testimonial letters dated July through November 1901. These include letters from Dr. Frank P. Vale, L. S. Ayers & Company, Joseph M. Ward of the Northwestern Military Academy at Highland Park, IL, and The Steam Vehicle Company of America through J. D. Lengel. 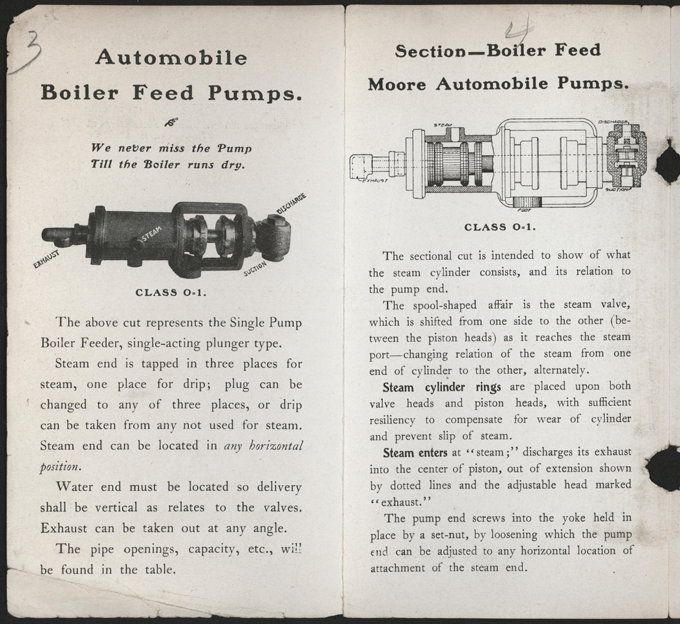 The Union Steam Pump Company's catalogue promoted its Moore Independent Automobile Pumps. 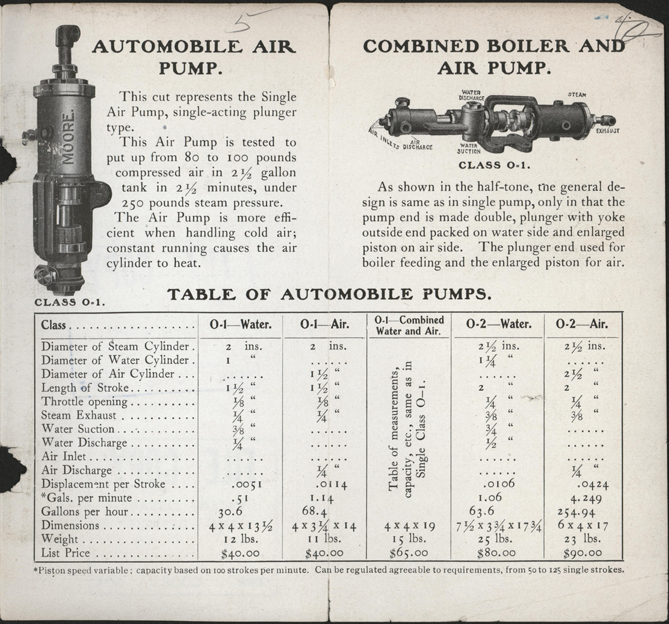 These were air pump as well as single and double acting boiler feed water pumps. 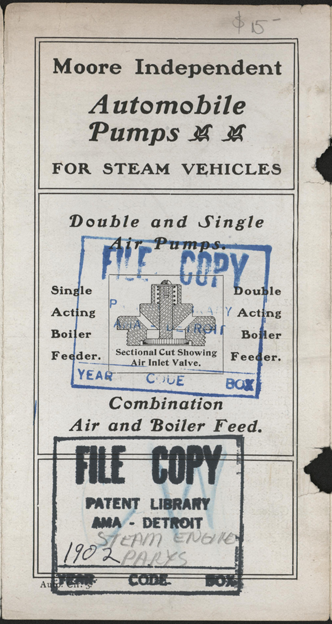 This catalogue is stamped Patent Library AMA Detroit. Contact us if you have additional information about the Union Steam Pump Company, or if you have questions.